BENGALURU: BJP’s Union Minister and senior leader Ananth Kumar passed away yesterday morning, on Monday, at a hospital in Bengaluru. He was suffering from lung cancer and last month he had returned from the United States after treatment in New York. During his last days, his wife, Tejaswini and two daughters were with him. The body of Mr. Kumar has been kept at his home in Basavanagudi. Today, it will be taken to Jagannath Bhawan, the BJP’s State Office in Malleshwaram, and from there it will be taken to the National Congress grounds in Bengaluru for paying last tribute. The cremation will be done around 1pm, as told by State BJP General Secretary N Ravi Kumar. In the honor of Mr. Ananth Kumar, the national flag will fly at half-mast across the country, while Karnataka has announced a three-day state mourning and all the schools, colleges, and offices are closed today. Speaking of the late BJP senior leader and six-time MP from Karnataka, he was one of those only ministers who has also served in the previously BJP-led government under Atal Bihari Vajpayee. He was the youngest minister in Atal Bihari Vajpayee’s cabinet during 1998 and was the minister for Civil Aviation, Sports, Tourism, Urban Development, and Poverty Alleviation. He was also the first person to speak in Kannada in the United Nations. 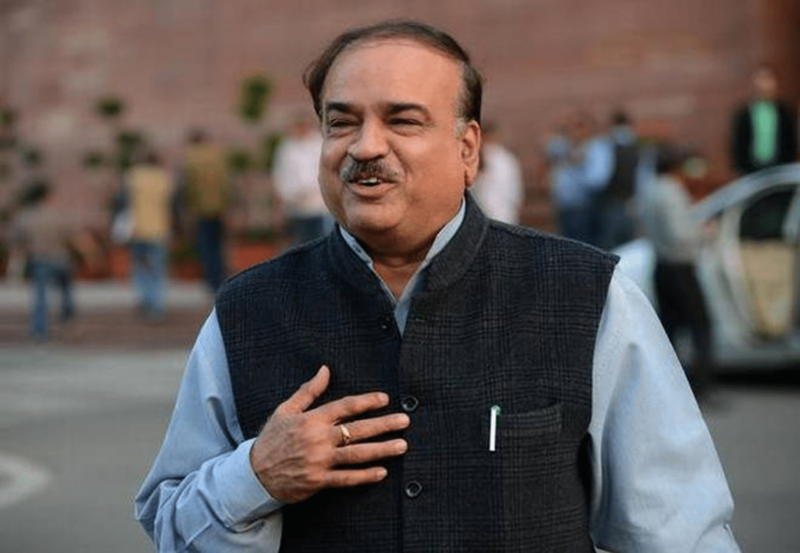 Ananth Kumar was a graduate in Arts and Law, and before joining BJP in 1987 he was also associated with the Akhil Bharatiya Vidyarthi Parishad (ABVP), the student organization of RSS (Rashtriya Swayamsevak Sangh). During the Emergency of 1975, he was also jailed along with other ABVP leaders, being a student activist. In 1996, he was elected to the Lok Sabha, and then in 1998 he became the youngest member of Vajpayee cabinet and returned as a minister in 1999. In 2003, he became the Karnataka chief, from BJP, when the party won the highest number of seats in the assembly and the Lok Sabha under his leadership. He held charge of two ministries during the current Narendra Modi government—chemicals and Fertilisers from May 2014 and Parliamentary affairs since July 2016. Defence minister Nirmala Sitharaman also tweeted to express her sorrow. Deep sense of grief on hearing that Shri Ananth Kumar is no more with us. Served BJP all along. Bengaluru was in his head and heart, always. May God give his family the strength to bear with this loss. Opposition leaders like Rahula Gandhi, Arvind Kejriwal, and Mamata Banerjee have also offered their condolences. Honorable President of India, Mr. Ramnath Kovind, and PM Narendra Modi also tweeted to express their sorrows and pay tribute to Mr. Kumar.